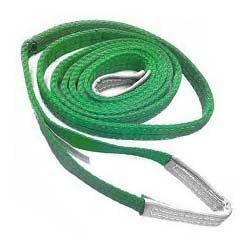 With the support of our vendors, we have been able to provide our clients with an impeccable Polyester Webbing Slings. Developed with advance technology, these products are in compliance with the defined parameters of the industry. These offered products are used to load and unload goods from trucks and others. With due consideration, we have made these slings available in different sizes and specifications to meet diversified demands of the clients. We are one of the prominent names engaged in offering the best Ratchet Lashings. These offered products are manufactured using high-grade required basic material at our vendors' base. 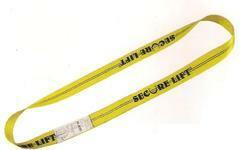 The lashings are precisely designed and developed in line with the defined parameters of the industry. Our valued clients can avail these product in different sizes and specifications as per their requirement. We are offering our valued clients the best-in-class Bag Slings. 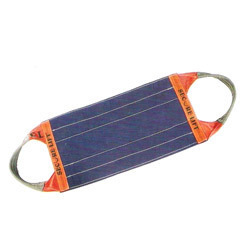 Made of using high-grade basic material, these products are in compliance with the defined parameters of the industry. Furthermore, these products are available with us in different sizes and specifications that are customized according to the client’s specifications. We put forth impeccable Multi Legged Slings for our valued clients. Designed with high precision, these products are in compliance with the defined parameters of the industry. Moreover. keeping in mind divergent demands of the clients, we offer these products in different specifications and sizes. 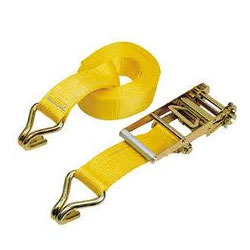 We are engaged in offering the best Flat Webbing Slings to our valued clients. 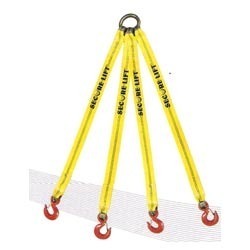 Made of supreme-grade synthetic material, these slings are ideal to load and unload heavy goods. The offered products is available with us in different sizes and specifications addressing divergent demands of the clients.